Inlanta Mortgage is pleased to announce the promotion of Carla Blazek to underwriting manager, as well as new staff additions of Sherri Mayer, disclosure desk analyst and Kerry Heus, closing specialist. Blazek has been a senior underwriter with Inlanta Mortgage since 2009, but has been in the business for over 20 years. Blazek’s extensive mortgage experience will be an asset to the organization as she assumes her new position. As Inlanta’s underwriting manager, Blazek will continue her duties as an underwriter but will also provide leadership within the department to ensure Inlanta provides the best possible customer service to its partner branches, while maintaining a high quality of underwriting diligence. She will also be responsible for coaching and mentoring the underwriting department, evaluating ways to streamline internal processes and reviewing regulatory changes. Inlanta welcomes Sherri Mayer as a disclosure desk analyst, where she will be responsible for reviewing all loan files for compliance. Mayer previously worked for Inlanta’s Pewaukee branch as processing manager. Compliance is integral to the success of any mortgage company in today’s highly regulated mortgage industry and Mayer will ensure that Inlanta Mortgage’s loan files are consistent with the internal and external policies. Kerry Heus joins Inlanta’s expanding funding department, as a closing specialist. Heus has been in the mortgage industry for nine years and was brought on staff to assist with the increasing origination volume Inlanta is experiencing. 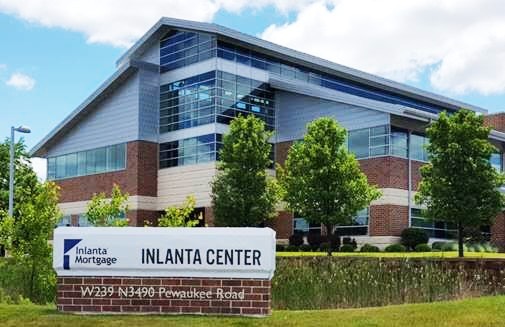 The aforementioned positions are located at Inlanta Mortgage corporate headquarters in Brookfield, Wiscsonsin. Inlanta Mortgage is also seeking loan originators in Wisconsin, Indiana, Kansas, and Illinois. Click here for more information on Inlanta Mortgage job opportunities.